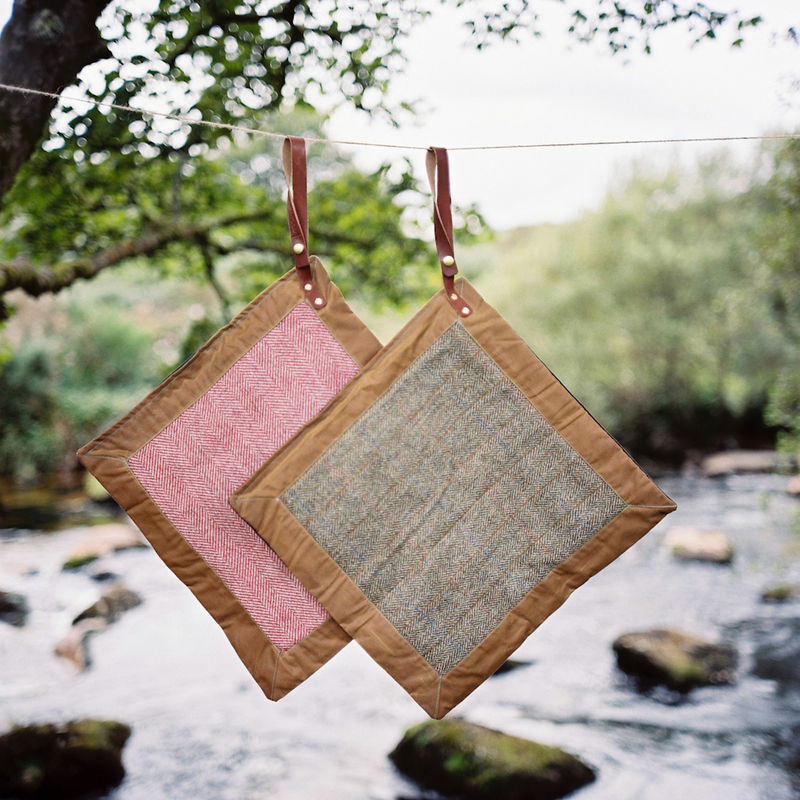 Our products are called Field Rugs because they are more than just picnic blankets. Yes they can be used for picnics, but we wanted more out of them; something to turn to in all seasons. We've designed our Field Rugs with some of the finest Natural Fibre materials produced on British shores. They have a rugged hardiness which suit our wild places. Consisting of a heritage wax cotton, rich in colour, a beautiful traditionally hand woven wool tweed and bound with oak bark tanned leather strapping. Made in Britain and hand finished on the outskirts of Dartmoor. Available in two sizes, a larger rug to accommodate more people and a smaller solo adventure mat for sitting or kneeling on. We don't have a background in product research, we don't have an interest in seeing our products in every store. We do have an interest in designing Better not Bigger, Quality not Quantity. Our products have been born out of necessity for our use, not contrived to what we think others need. We hope you will enjoy and appreciate using them as much as we do. We aim to live up to this statement and strive to be worthy of it.